Before you have an opportunity to enjoy the words and concepts in any book there is an initial impression made by the books presentation. Let’s start there. The book bears the imprimatur of the NFL on its cover, immediately telling the potential reader that the effort within has been found to meet their stringent standards. The NFL is approached for licensing and partnership deals on a daily basis. The vast majority of such proposals are rejected. Continuing with the books façade before we delve into the content, the photographs on the front and back covers are stunning. Skimming through the book you will notice that these are not exceptions, but are truly indicative of the book as a whole. The book is not a hardcover, but the cover and paper stock are thicker than most cookbooks and the cover is high gloss. In addition to the many pictures of the recipes end results, the book contains photos of football players and cheerleaders. The majority of the photos are in full color and are certainly enticing. It is advised that you don’t peruse the book on an empty stomach. The photos are liable to induce serious hunger and salivation. Along with the recipes, the book contains an entry for each NFL team. 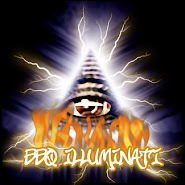 The team pages offer statistics on the franchise, information about their geographic area and a recommendation for a local BBQ joint. The theme of the book is entertaining for football related events. Whether it is your friends hanging out in your living room on a Sunday afternoon or tailgating with thirty thousand other fans in a stadium parking lot, Dr. BBQ has you covered. In addition to the 150 recipes in the book, there are tips for equipment, cooking temperatures and a table of equivalents (translating measurements). The football standards are all in here. Appetizers, main courses, breakfasts, and five chili varieties (what’s football without chili?) all make an appearance. There are a few things that immediately come to mind when thinking food and football. Chips and dips, chili, wings and alcohol would seem to me to be representative of the spreads at most football get-togethers. All are covered in this book including the drinks. There are seven drink recipes, five of which have alcohol. The readers are not just presented with a hodge-podge of recipes, but recommendations for the areas that you are cooking in. Each team section also contains an food-centric overview of the area and lists foods that the good Dr. would suggest for your game watching. I’ve had the pleasure of owning and reading a number of Mr. Lampe’s books. His style of writing is much more conversational than other cookbook authors. It feels as if the introductions and asides in his books could be extracted to create the Dr. BBQ autobiography. In Ray’s case, this is a good thing. He has led an interesting life and is informative without being loquacious. His personal anecdotes inform the narrative as opposed to being the impetus of the narrative. Mr. Lampe writes in a colloquial and engaging style. 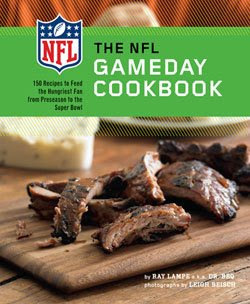 The recipes in the NFL Gameday Cookbook are sound, the strategies are insightful and the team sections are informative. If you are a fan of the NFL and enjoy getting together with friends for some food and the game, this is a can’t miss book.